A short video demonstrating the applications of a the movements, Testing out the Zha Method. Up, Down, Three Swords The Technique is Complete from the Yangjia Michuan Taiji Jian (楊家秘傳太極劍) form. Thanks to Poney Chiang for acting as Scott M. Rodell Laoshi's duifang, Tig Fong of Flying Knee Films for his masterful camera work and editing and 276 Sterling Studio for the use of their amazing studio. 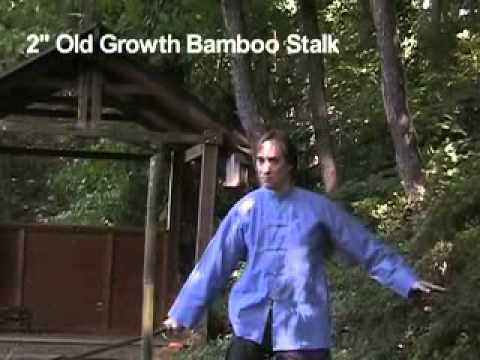 Test cutting was a forgotten tradition in Chinese swordsmanship that has been revived at Great River Taoist Center. The jianke (swordsman, 劍客 ) cuts different types of targets to test different skills. A small, unsupported piece of bamboo is widely considered one of the most challenging cutting targets. The cut must be absolutely straight, fast and powerful. If any of these are off, the cut will fail. An overview of the five major categories of training that comprise historical Chinese swordsmanship. 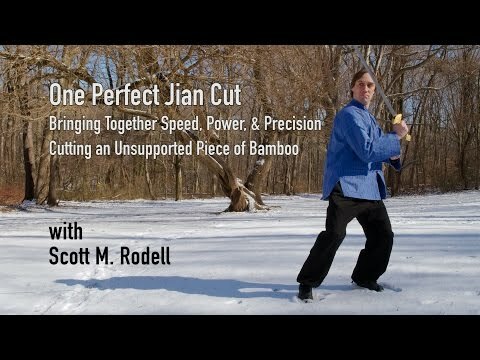 This footage of Scott M. Rodell demonstrates historically accurate cutting techniques with both a sword (jian) and saber (dao). 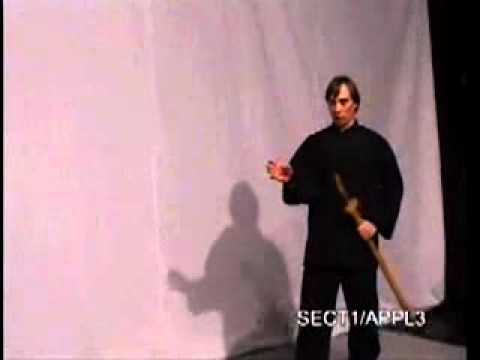 A presentation on the history and applications of the shuangshoudao (two-handed saber) in Chinese swordmsanship. 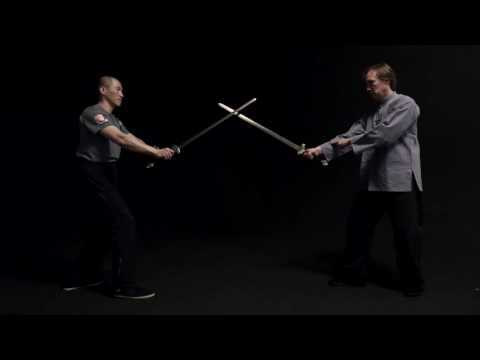 Scott M. Rodell demonstrates applications of the first section of the Michuan Taiji Jian form. 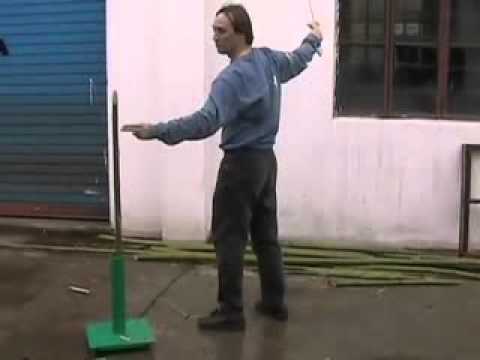 Mr. Rodell is the author of Chinese Swordsmanship: The Yang Family Taiji Jian Tradition. 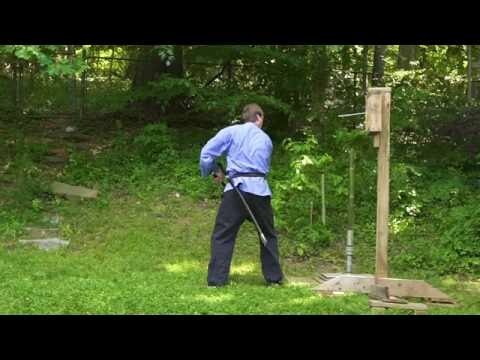 This is footage of Scott M. Rodell demonstrating testing cutting for both sword (jian) and saber (dao).